Stroke treatment. 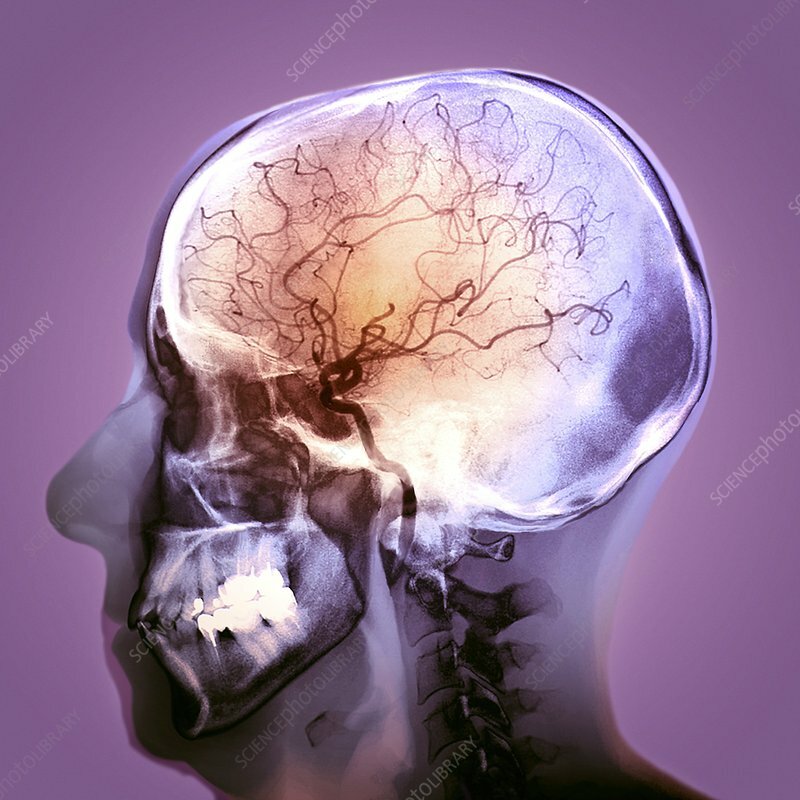 Coloured angiogram of the brain of a 48 year old patient after treatment for a massive cerebrovascular accident (CVA), or stroke. The stroke occurred due to a blocked middle cerebral artery causing areas of ischaemia (lack of blood flow) to parts of the brain (see image M136/0348). Here, blood flow has returned after the blockage was targeted with thrombolytic (clot-busting) drugs (urokinase) and anticoagulants (heparin) using a catheter. The symptoms, such as hemiparesis and aphasia (trouble producing and understanding speech), then begin to fade. Angiograms use a contrast dye to highlight blood vessels.